These were the very first things I bought from Watsons on the first day in KL. I'm so in love with these uber-cute dahlings ~ the bows on the puffs...the macaron tin packaging...the shades. When things look this adorable, it's better to play without any rules, don't cha think? 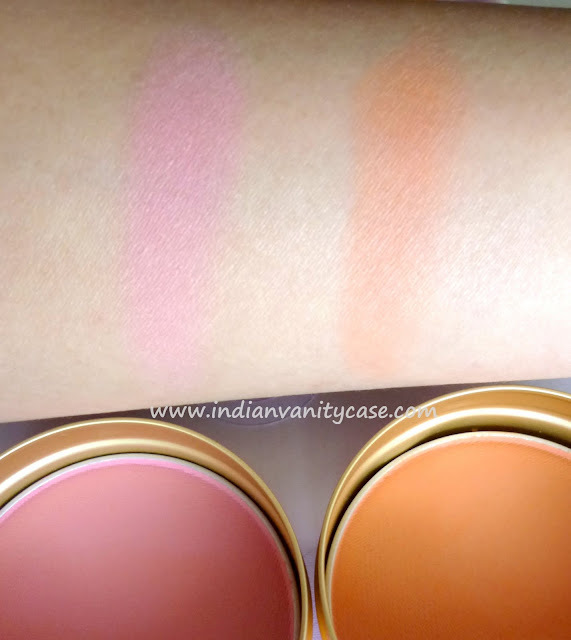 Puff de Cheek blushes are from Majolica Majorca's Sugary Trap Spring 2011 Collection. Both matte finishes and both show beautifully on the cheeks. The texture is smooth and blends easily. Umm..What else? Oh! Look how cute! :))). Let's leave it at that. i did see these in hk when i went recently but they were all sold out!! I want them so bad now! 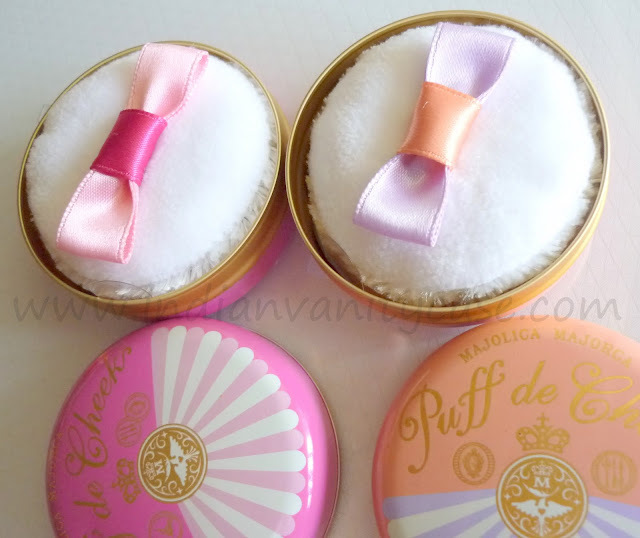 I wish I could get them in the UK :( Love the packaging and the sheer colours. Ohmy, I saw these at Watsons in S'pore. KNEW I should have picked 'em up! 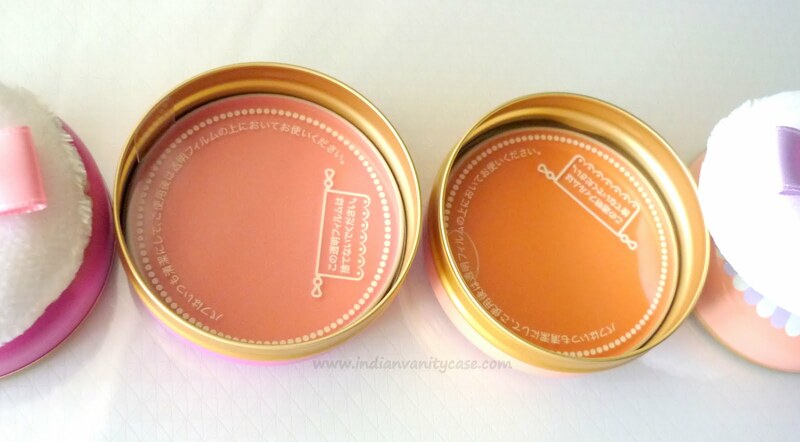 I totally ignored Majolica Majorca when I went to KL & regret it so much now! :( These look so cute!! I think they have some nice eye shadows too, right? 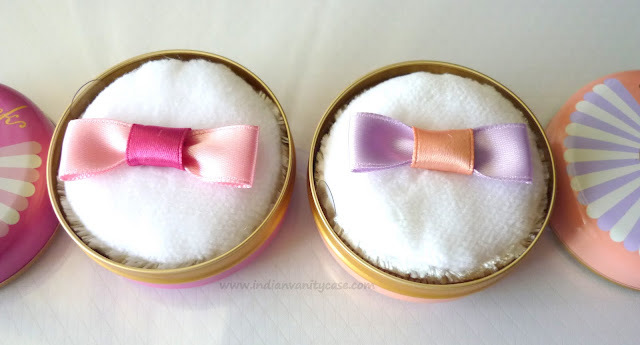 Wow,that packaging, those lil bows alone make these drool worthy ,to top it off gorgeous shades. Great buys! SO pretty! 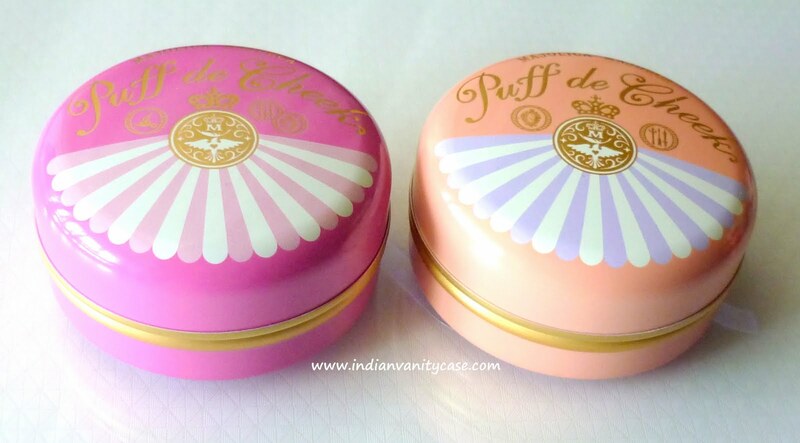 The packaging and the puff is just gorgeous! They are adorable Cynthia !! And Apricot is such a gorgeous color!!! What a gorgeous packaging! And so do the colours! Where to buy this in Spain... ? Ouch! 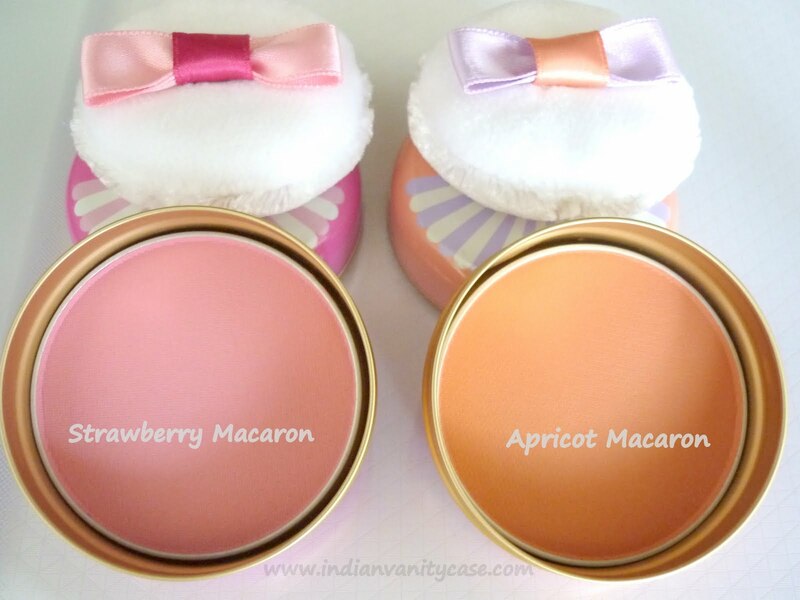 apricot looks awesome..so cute it looks..